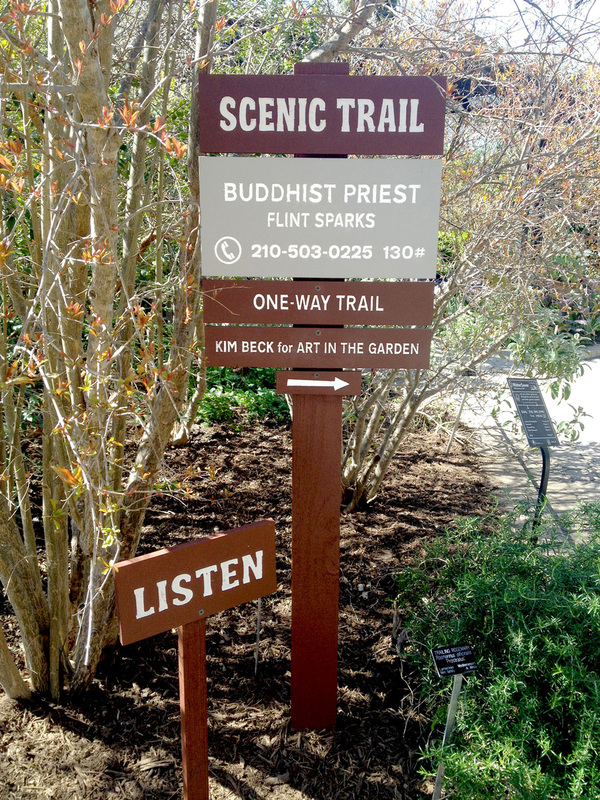 One-Way Trail consisted of a series of walks through a garden led by a range of guides, from the environmentally informative — such as a horticulturist and a food scientist — to the more unexpected: a rancher, a 97-year old, a 7-year old, a Buddhist priest and a fluffy lap dog. 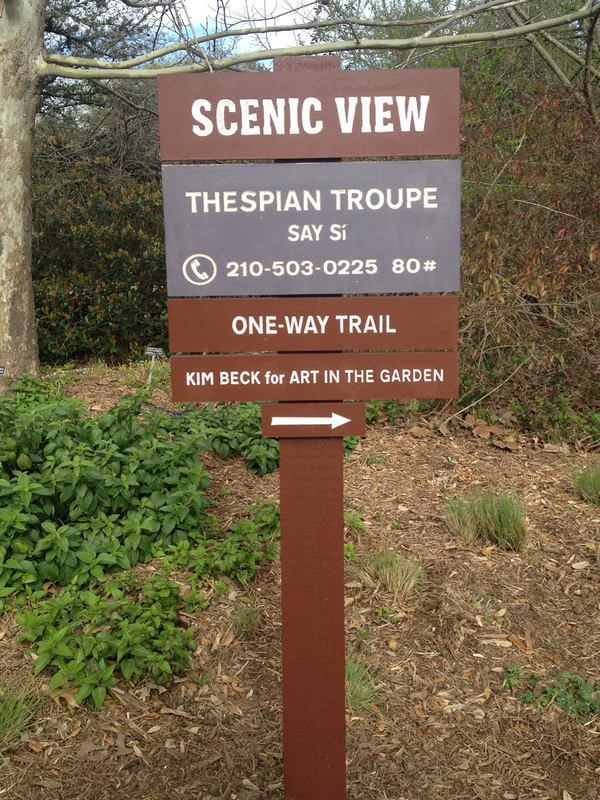 The tours were supplemented by official signage, printed maps, and audio recordings. 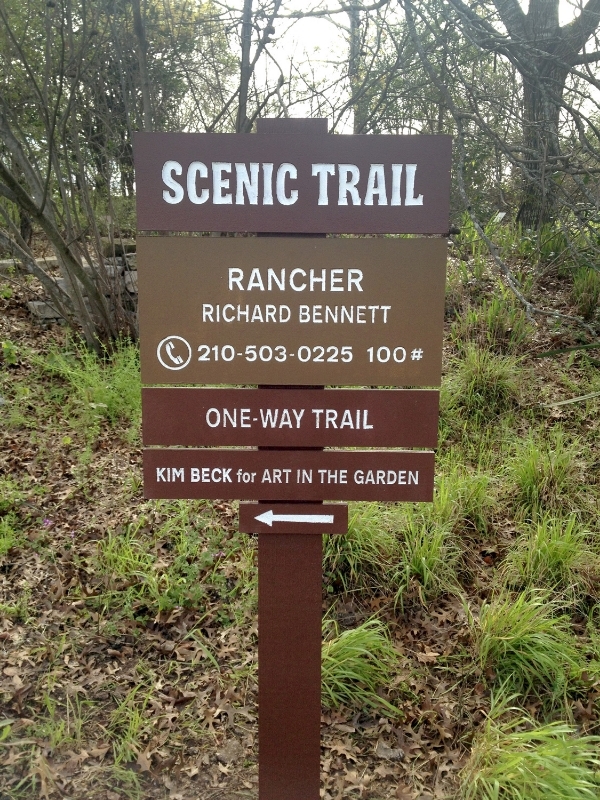 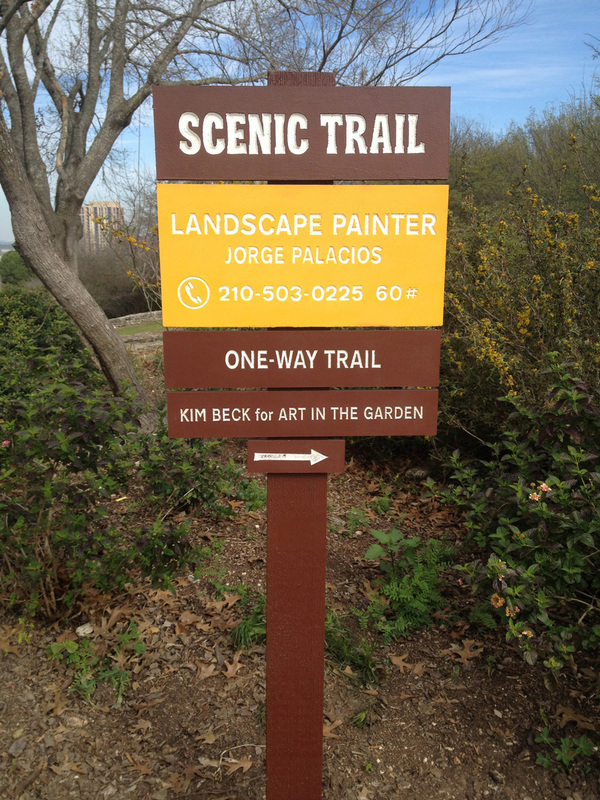 It was installed with Blue Star Contemporary Art Museum at the San Antonio Botanical Gardens.